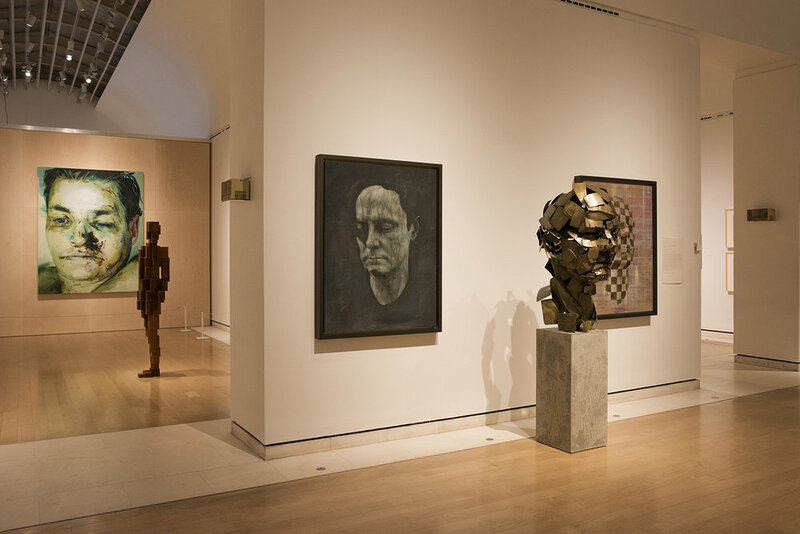 Jonathan Yeo unveiled the first ever sculpture to be designed with innovative virtual reality software, Google Tilt Brush, and then realised it in bronze as part of a major new exhibition at the Royal Academy in London. The exhibition, From Life, on the eve of the Royal Academy’s 250th anniversary, examined how artists’ practice of making art from life is evolving as technology opens up new ways of creating and visualising artwork. 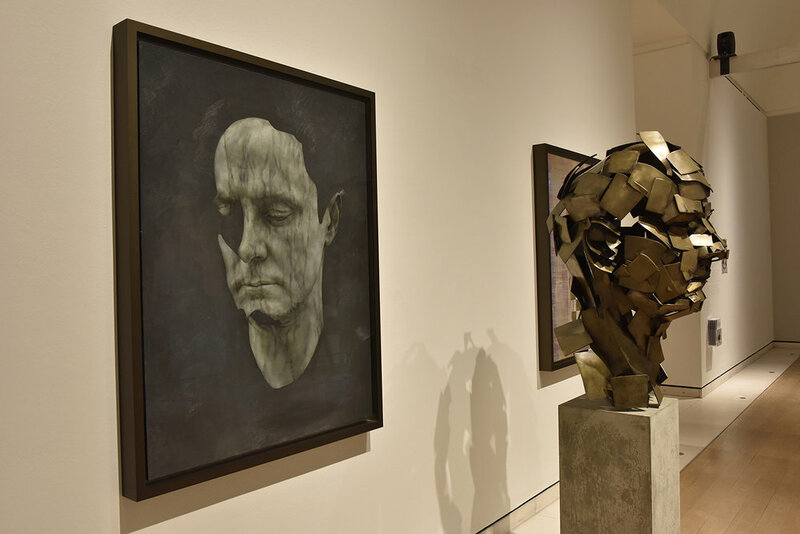 Jonathan debuted a large-scale bronze sculptural self-portrait entitled Homage to Paolozzi (Self Portrait) alongside two painted self-portraits made using advanced 3D scanning. The sculpture marked Yeo’s first foray into sculpture and represents an evolution to the tradition of creating self-portraiture, produced by using cutting-edge technology. Click here for further information on the process. 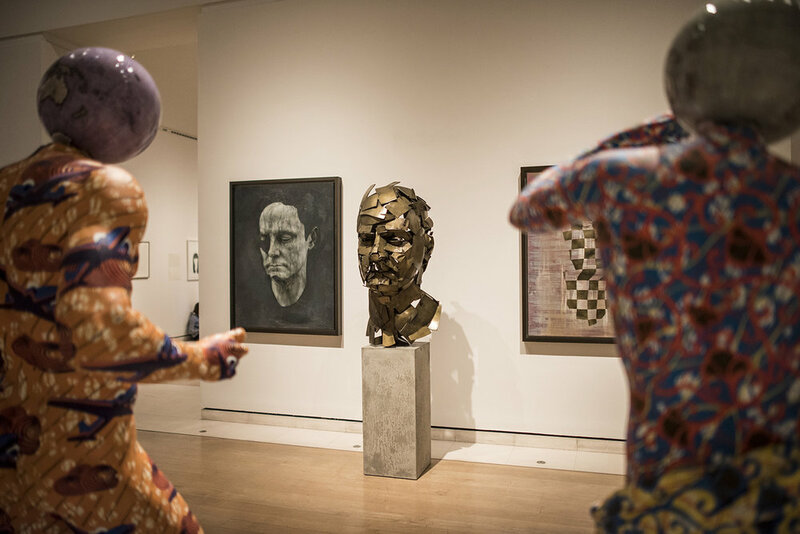 Taking over both the Sackler Wing and Tennant Galleries, the show also featured work by Antony Gormley, Jenny Saville, Lucian Freud, Jeremy Deller, Yinka Shonibare, Gillian Wearing, Farshid Moussavi and Cai Guo-Qiang. 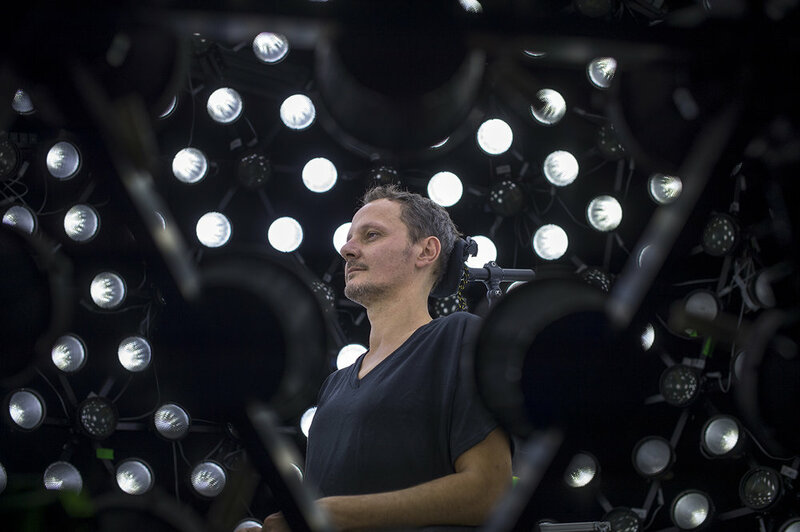 For 18 months Jonathan experimented with various innovative technologies related to image making, including virtual reality and advance 3D scanning. Through a partnership with Google Arts and Culture, he collaborated with Google’s engineers on their Tilt Brush software, which lets users paint in a 3D space using virtual reality technology. Yeo also worked with leading optical company OTOY, whose pioneering technology is used by leading visual effects studios in Hollywood including George Lucas and Warner Bros. Using their advanced LightStage scanner, a highly detailed 3D scan of the artist was created and then imported into Google Tilt Brush. 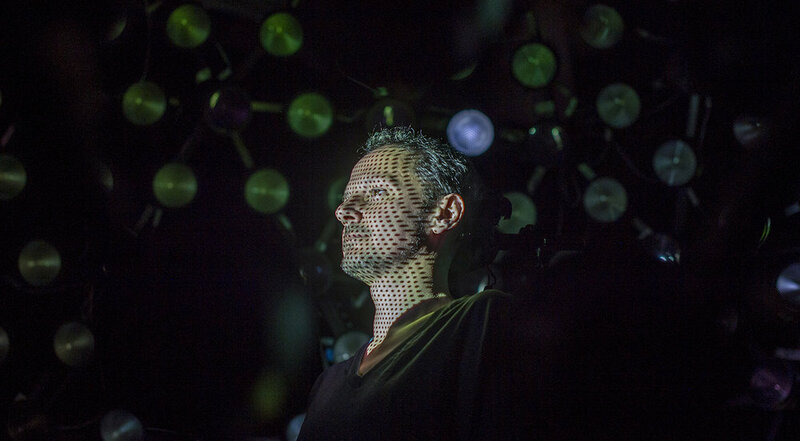 In a ‘virtual life room’, he was able to create a virtual self-portrait based on this digital scan. The final piece of the puzzle was to connect with Pangolin Editions, one of the world's leading foundries, to adapt the software and enable the creation of large-scale sculpture in metal in a way that has never been done before. Described as a new genre which bridges painting and sculpture, the pieces were crafted within a virtual "life room", using the HTC Vive headsets with the Tilt Brush tools and OTOY scans. By making solid structures based precisely on the kind of gestural marks which painters would normally use on canvas, this platform opens the door to an entirely new process, both for artists already working in three dimensions and those (like Jonathan) with little or no previous experience. This exhibition celebrated both the Royal Academy's history as an art teaching establishment and its continuing role as one of the world's most important exhibition forums, providing an ideal context for Jonathan's new works. Alongside other works by some of the greatest practitioners of the past and present day, it demonstrates how artists can both harness and enhance the latest digital processes to open up a world of creative possibilities. It also underlined how genres such as portraiture can be used to anticipate and explain some of the new technologies, which are going to infiltrate our lives ever more over the coming years.